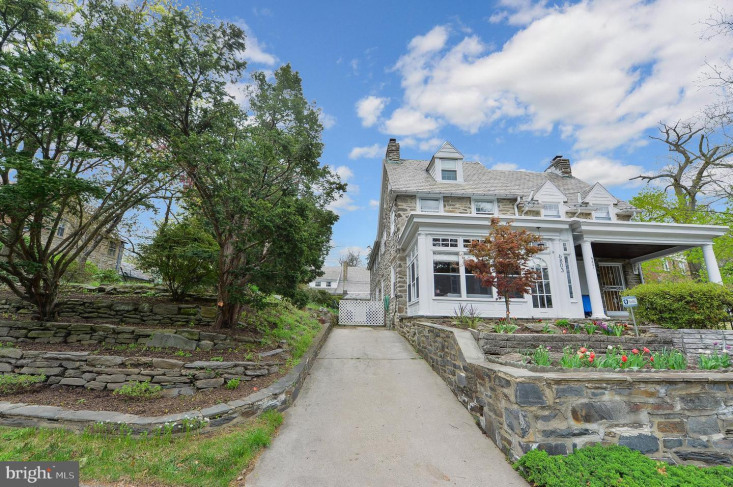 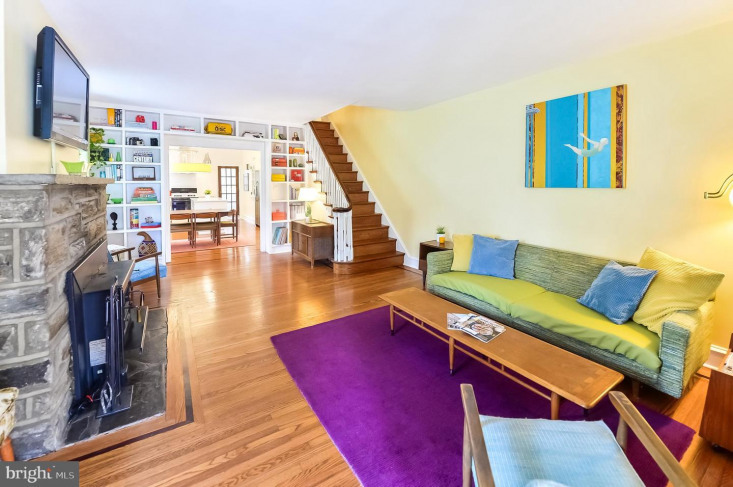 Open House Sat 1-3 & Sun 2-4 Come tour this beautifully updated colonial twin in East Mt. 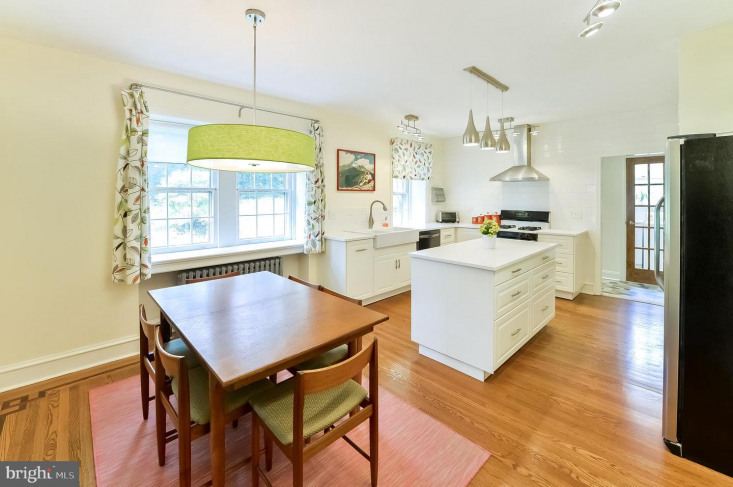 Airy featuring a fully renovated kitchen, first floor laundry, first floor powder room and mudroom, and with an extra .7acre lot adjacent and much more. 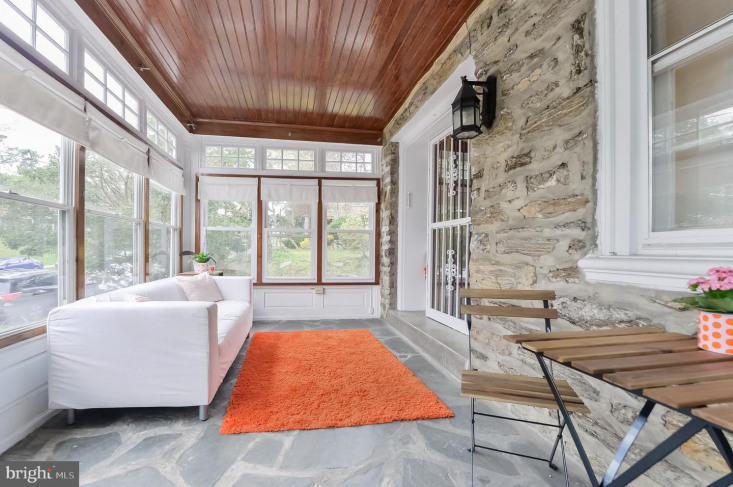 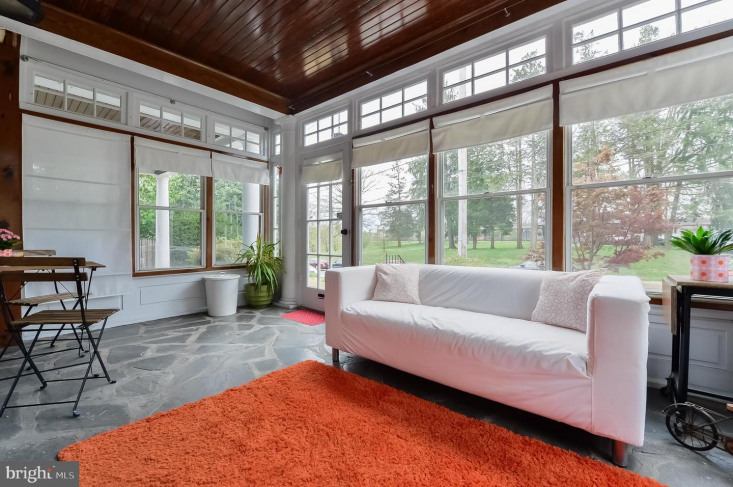 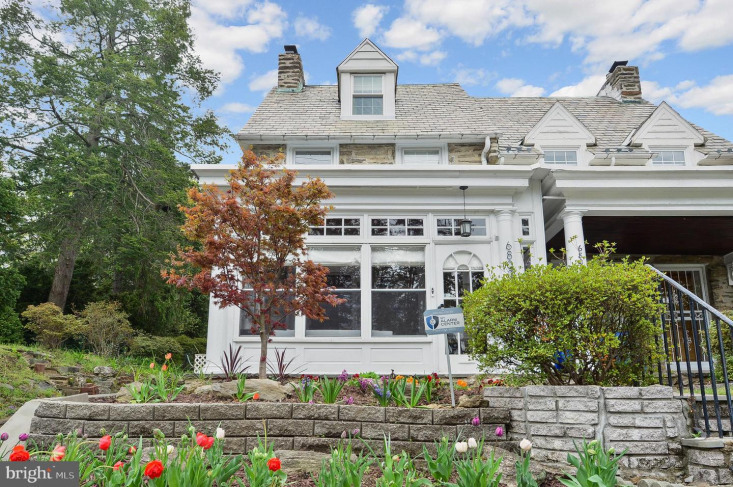 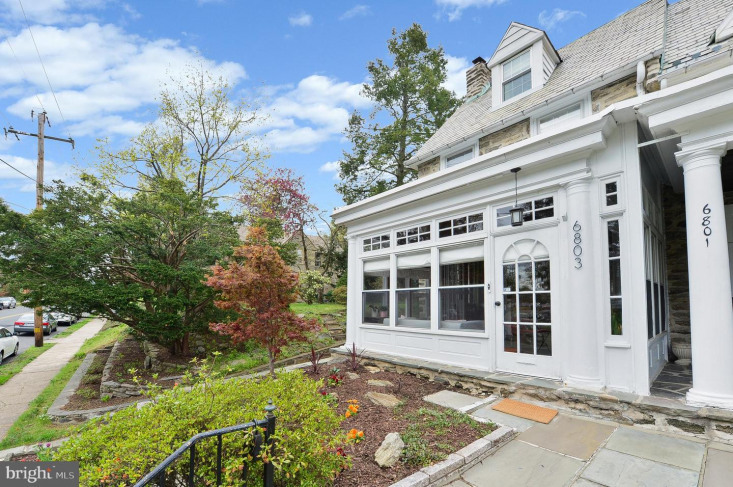 This stunning home features a four-season enclosed porch with new roof, stone floors and a hardwood ceiling, (a perfect space to start the day with your morning coffee). 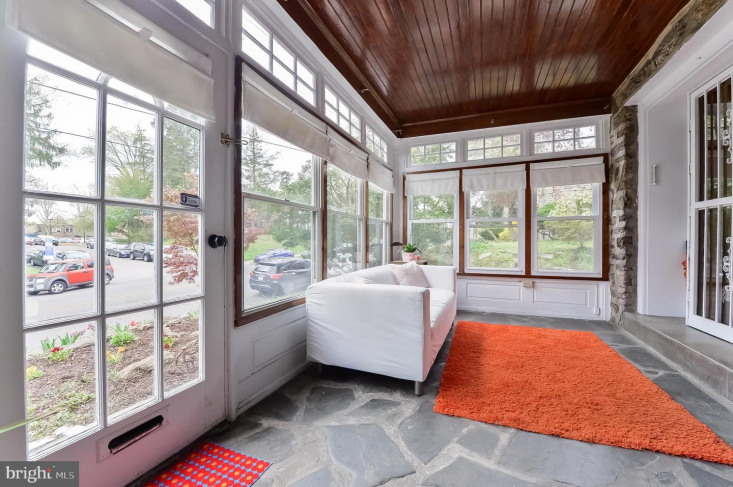 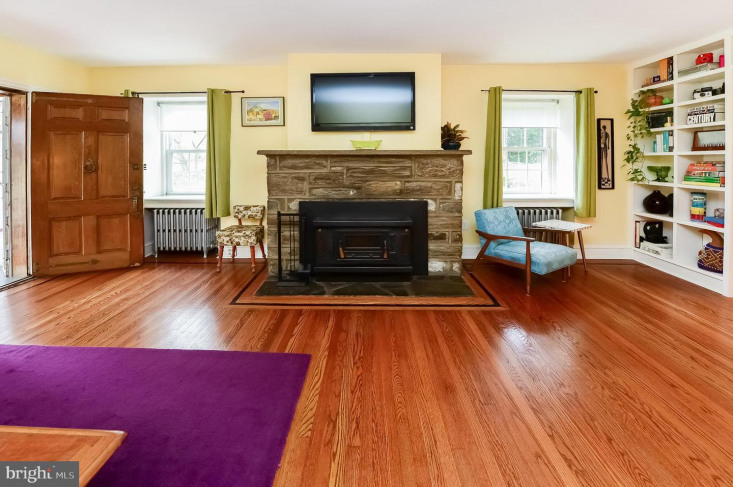 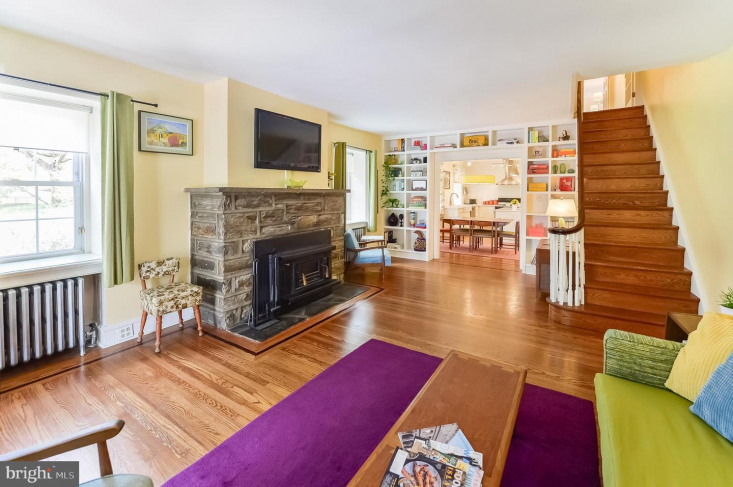 Enter through a beautiful original hardwood door into the large living room, with stunning hardwood floors throughout, a stone fireplace with wood burning insert for cold winter nights, and custom built-in bookshelves. 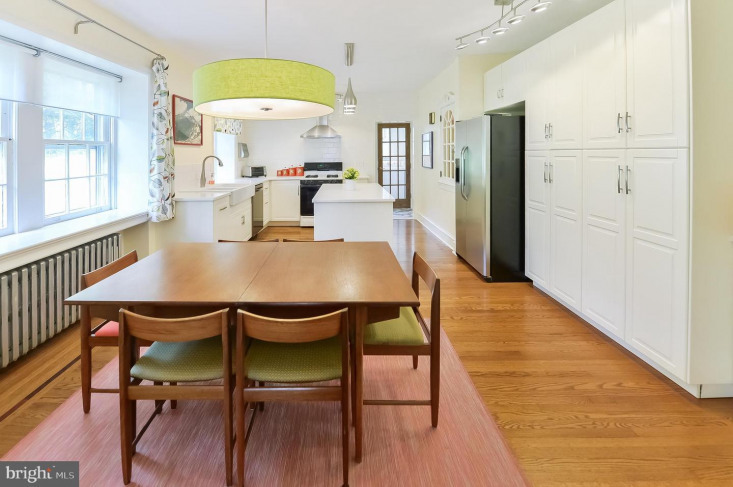 The living room opens into the bright open concept combo dining room and fully renovated kitchen which features Caesar Stone countertops and center island, with plenty of storage, double farmhouse sink, gas stove, energy efficient side-by-side refrigerator, dishwasher, ample cabinetry for plenty of storage including original in wall built in glass front cabinet and a custom built in desk area. 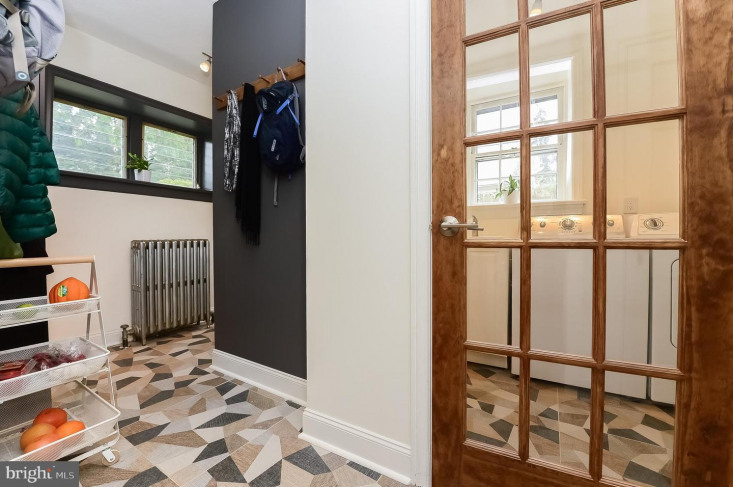 Through the kitchen enter the renovated mudroom with access to backyard, first-floor laundry room, and powder room featuring trendy ceramic tile. 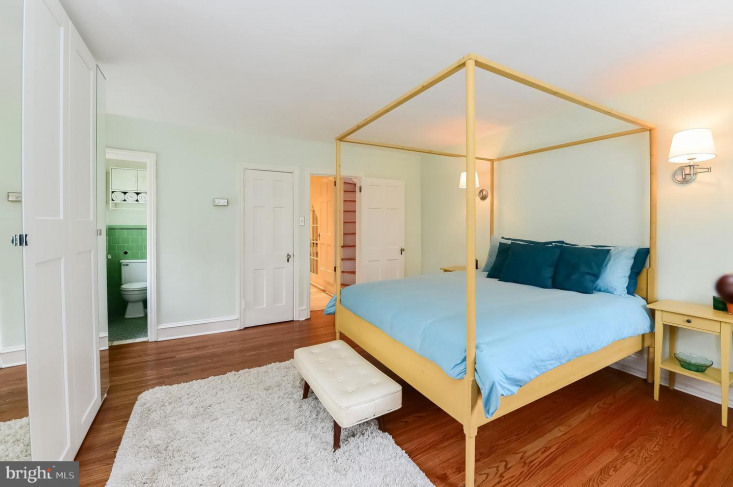 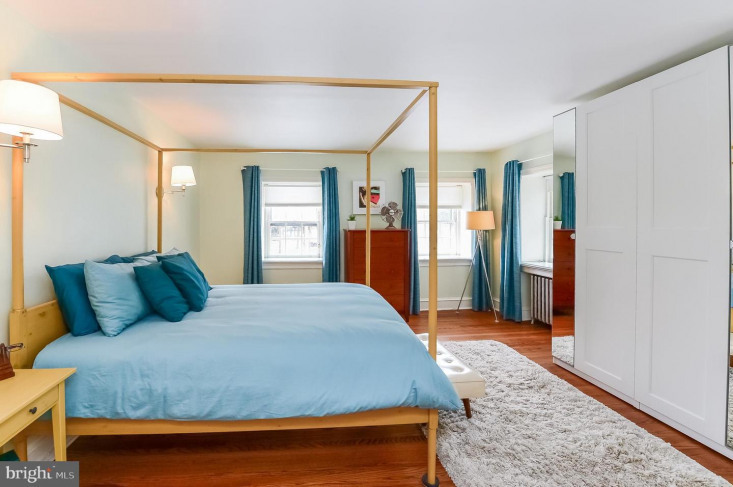 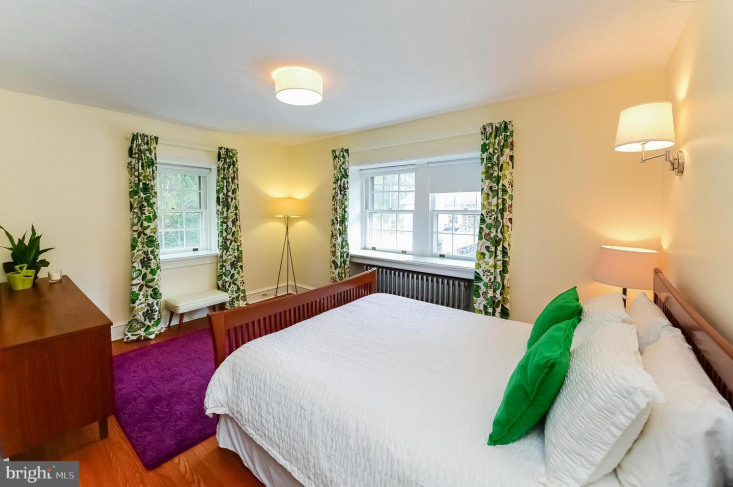 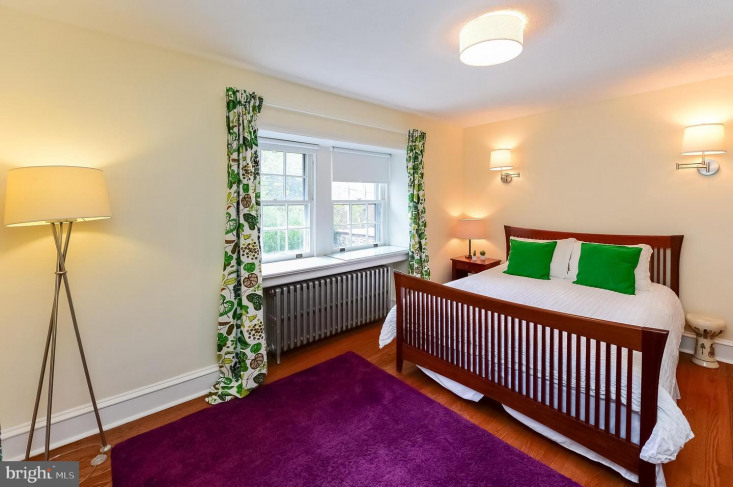 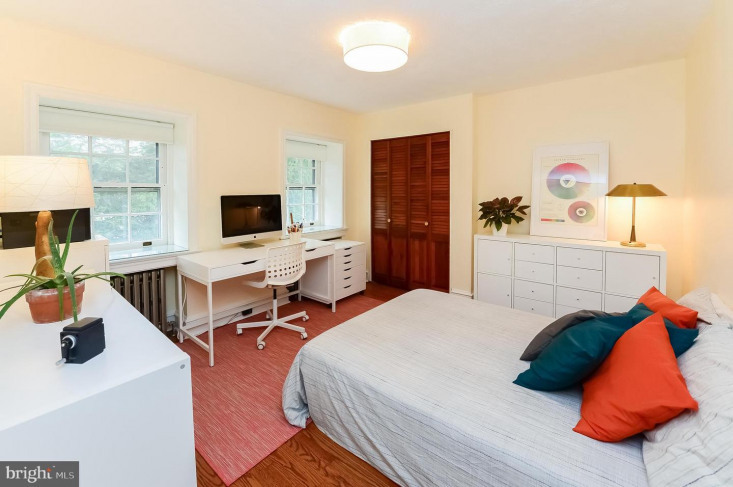 The second floor has a spacious master suite with a built-in wardrobe and an en suite bathroom with updated fixtures. 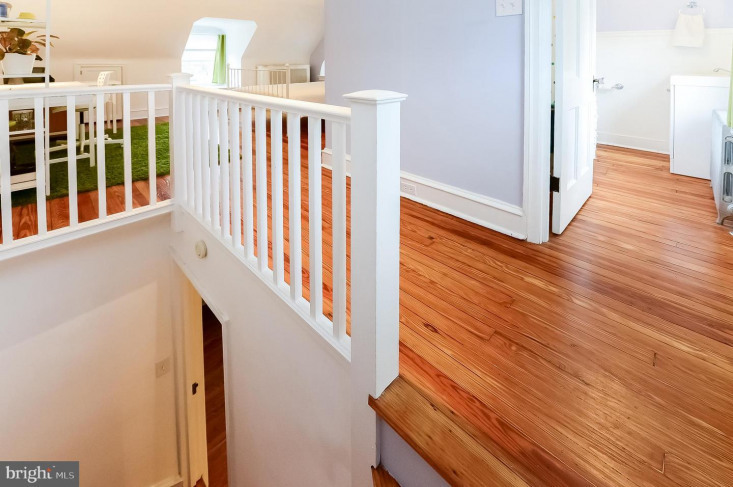 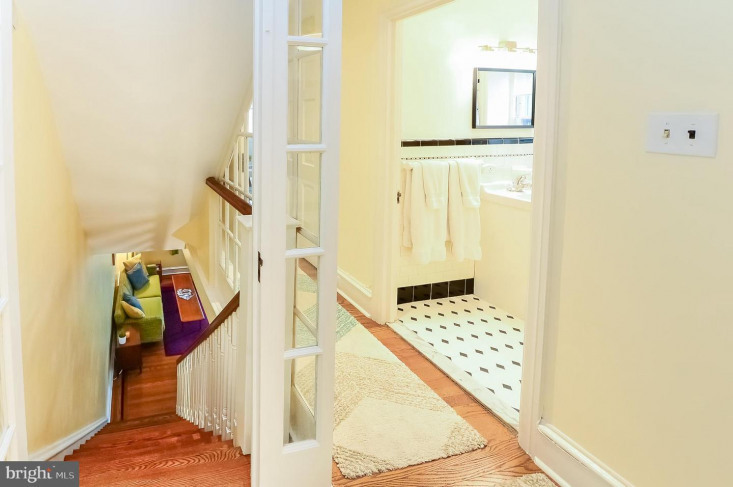 Two freshly painted generously-sized bedrooms and a full-sized hall bath with updated fixtures complete the second floor. 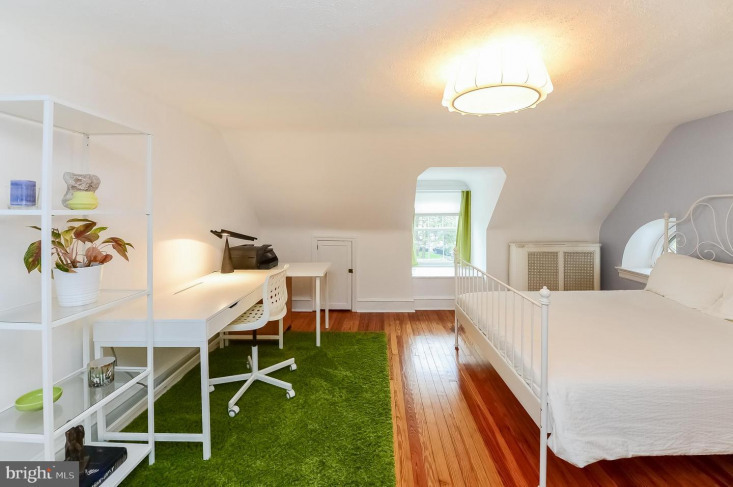 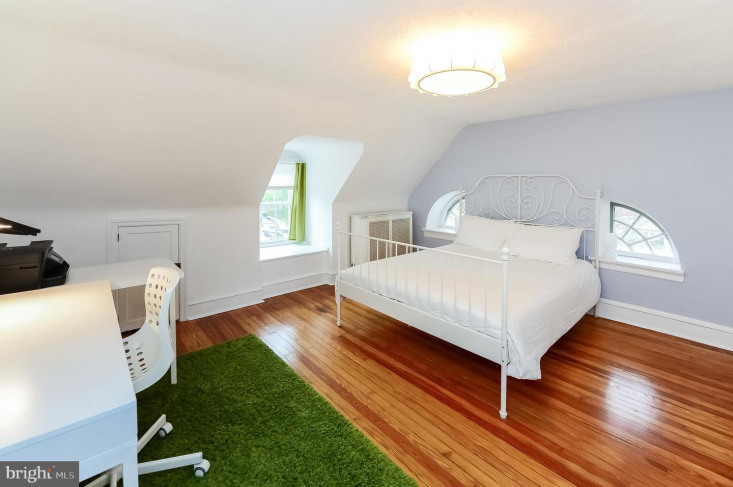 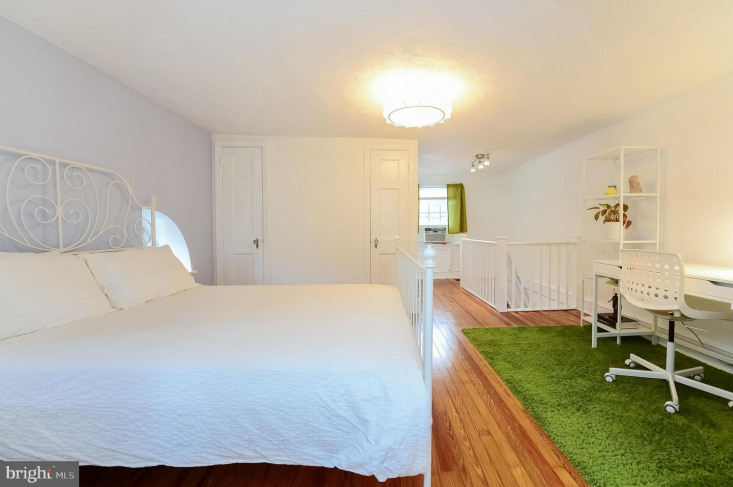 The third floor has a bedroom with vaulted ceilings and a fully updated en suite bathroom featuring a claw-foot bathtub with shower. 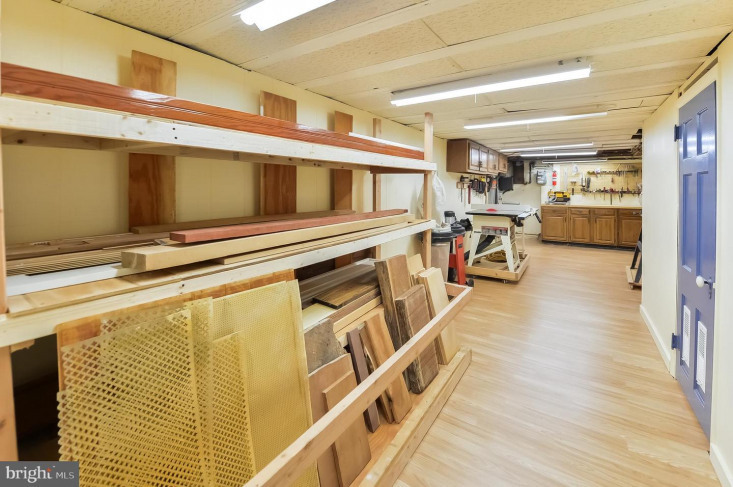 All this and a partially finished basement featuring a large woodworking shop with laminate wood floors, lots of storage cabinets, and peg-boards to keep your tools organized, a recently updated 100amp electrical panel fully marked for easy circuit identification, plenty of storage in 2 large shelved storage rooms, and an additional powder room with new flooring and fresh paint. 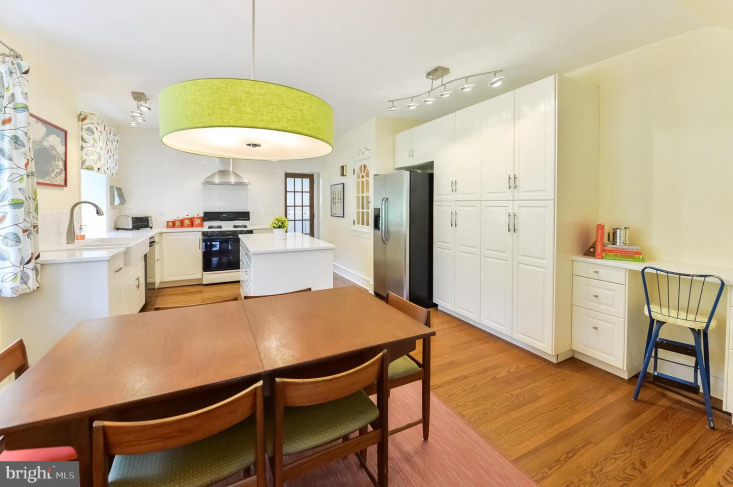 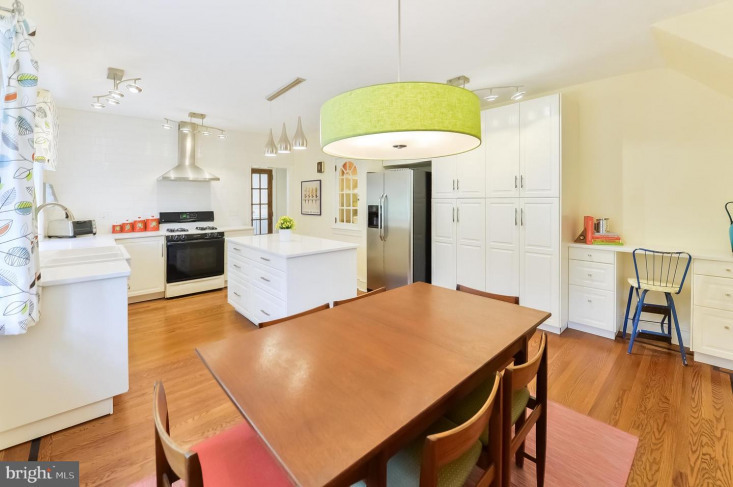 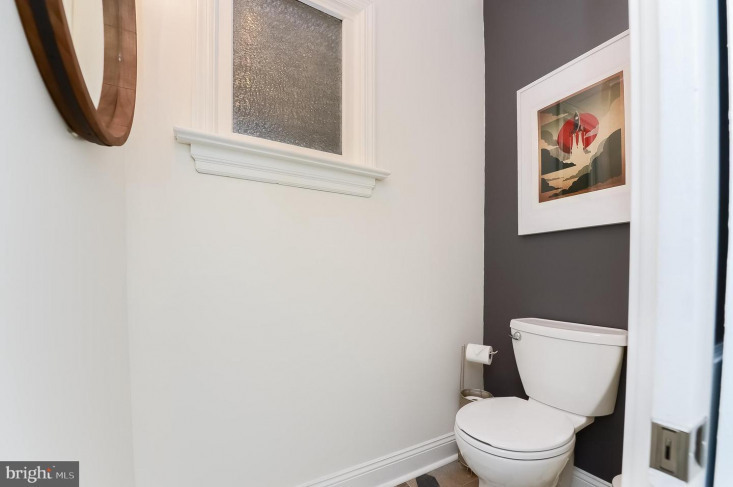 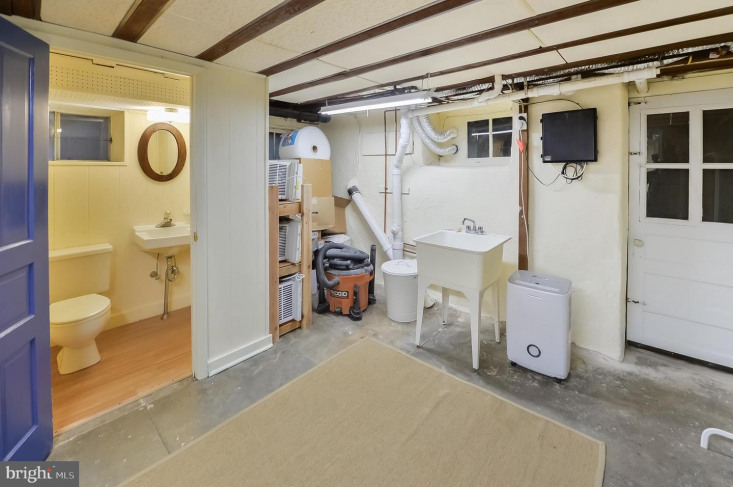 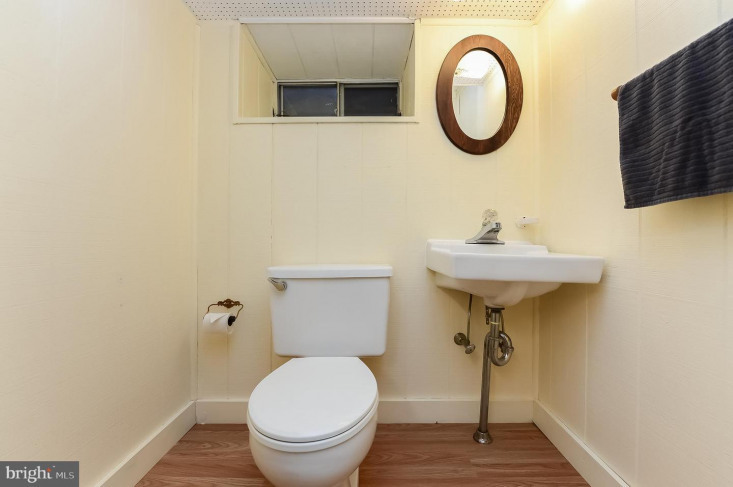 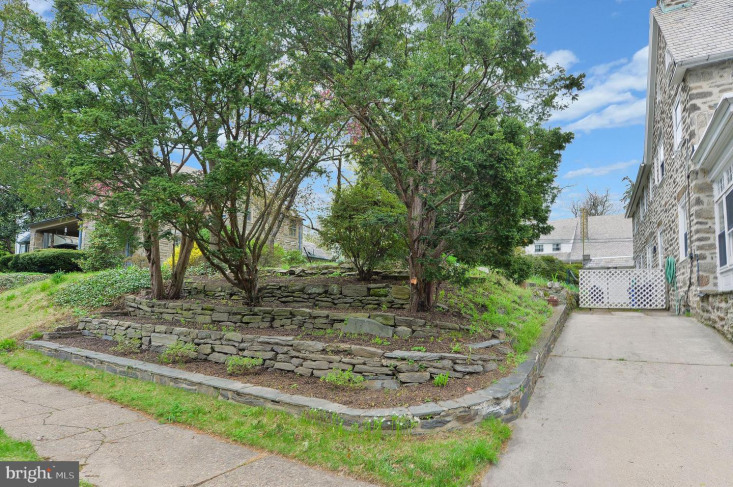 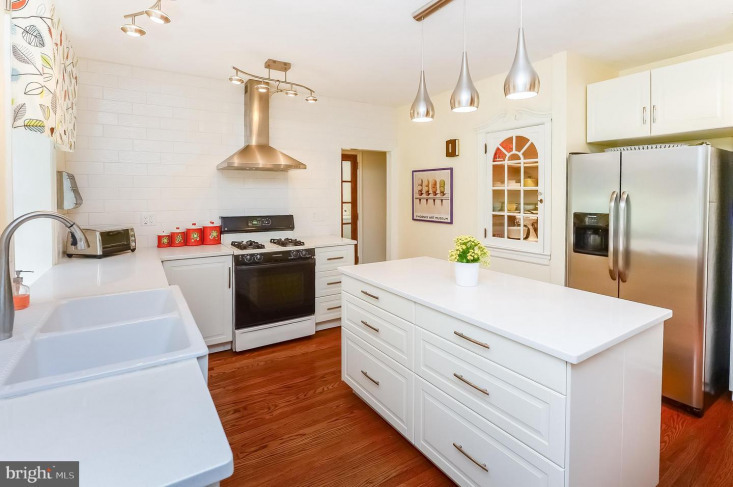 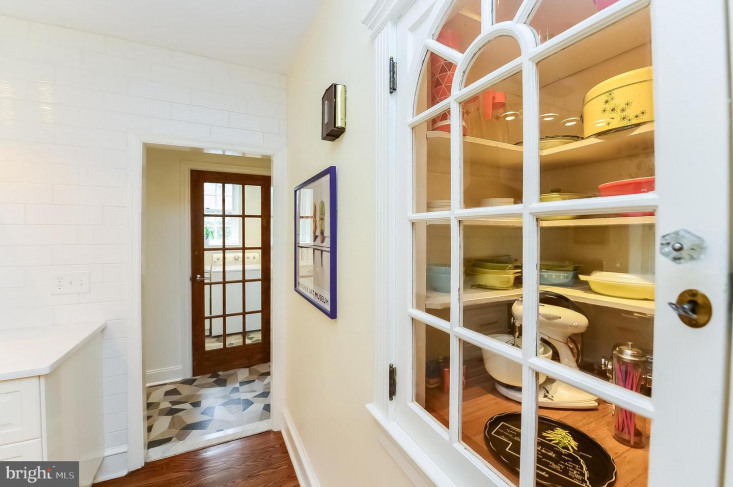 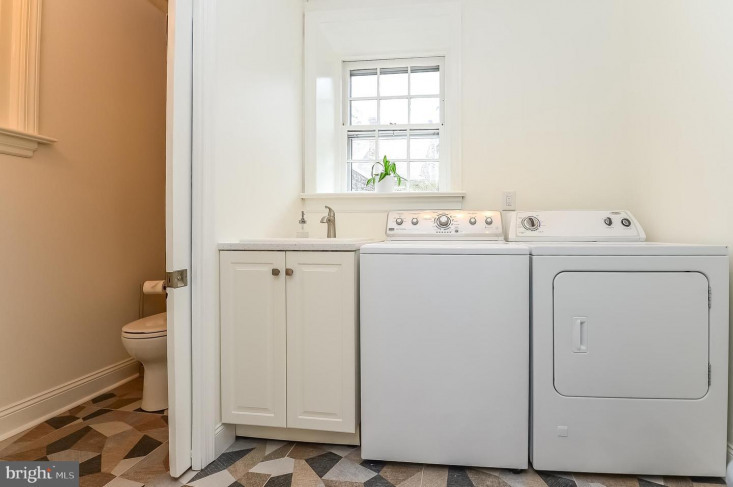 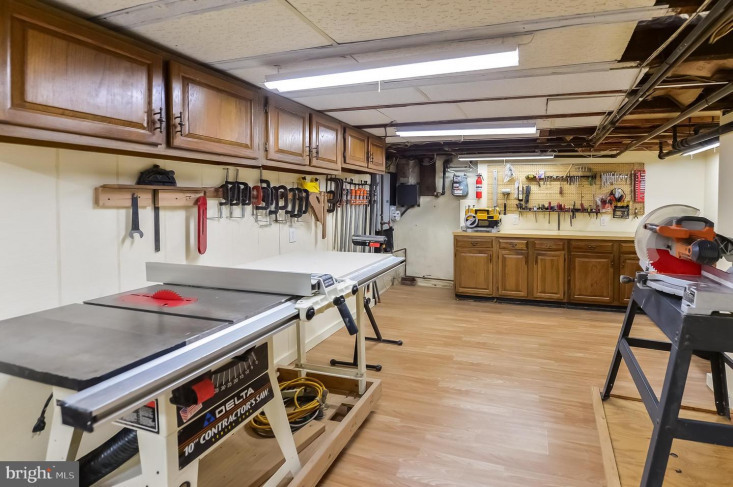 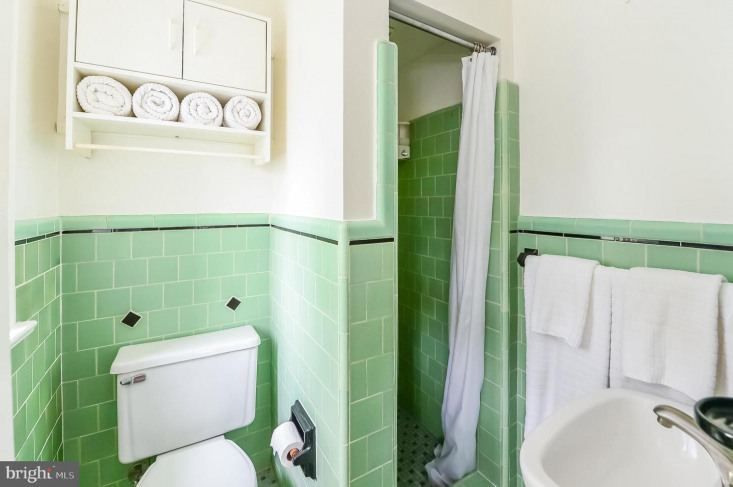 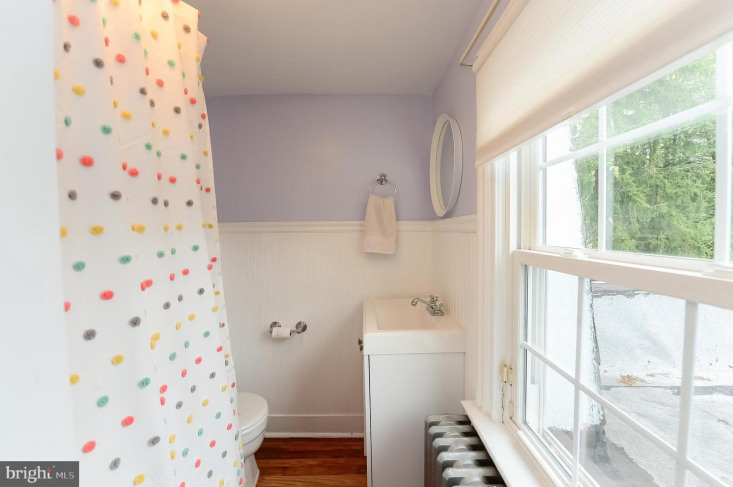 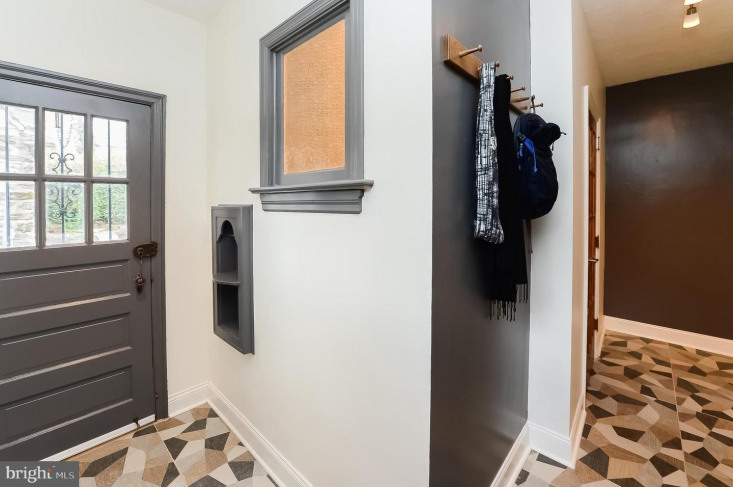 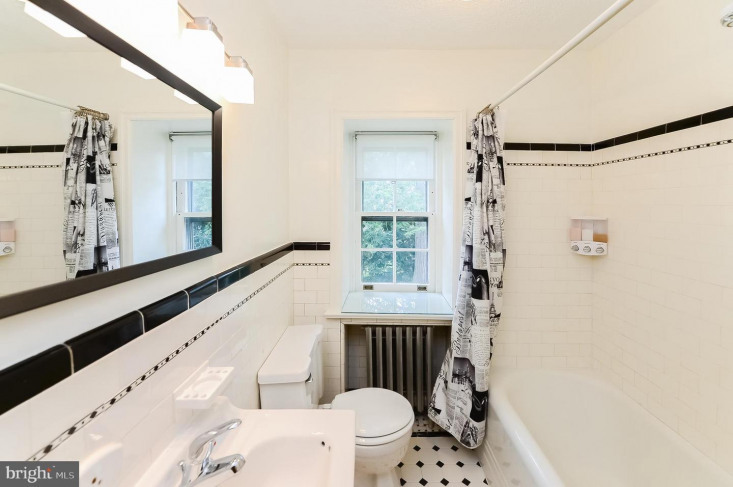 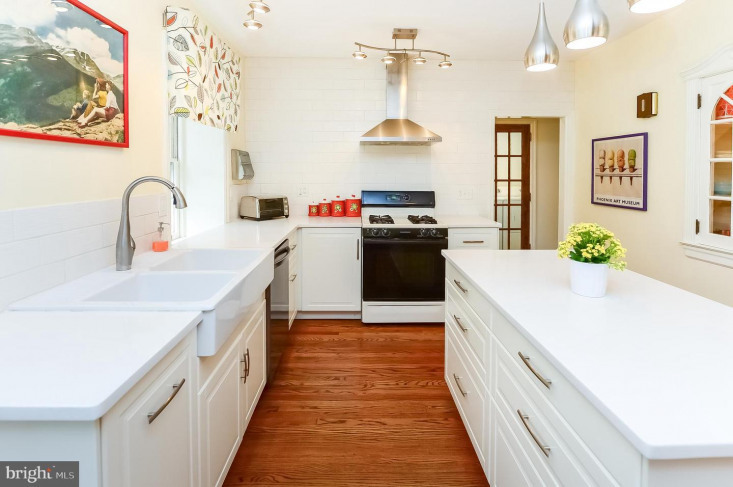 There is also a utility sink and access to the backyard through a door leading to steps and a bilko door which takes you to the spacious and private backyard with a small patio and fenced-in lawn, part of which is currently used as a vegetable garden. 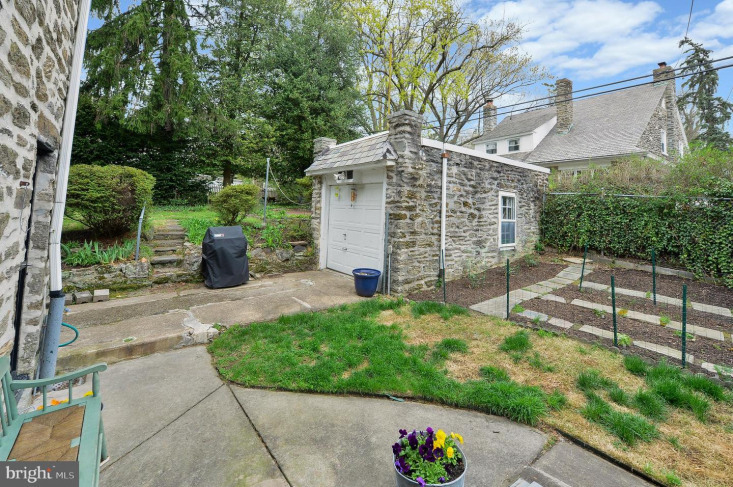 The 1 car detached garage sits at the end of the paved driveway and has a new roof. 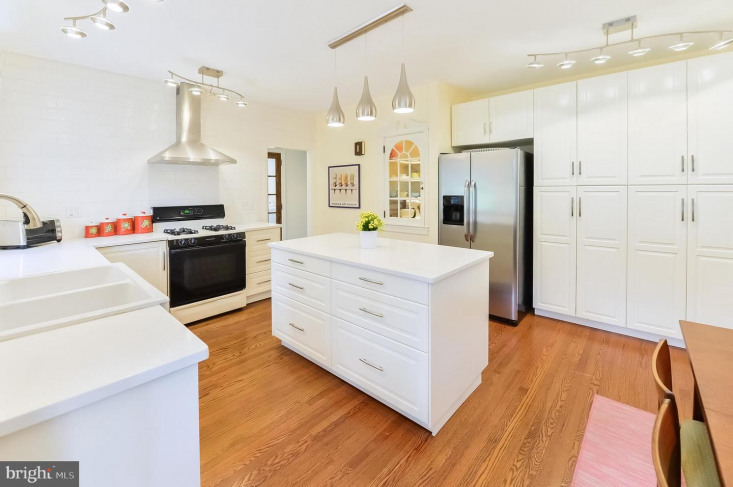  This amazing home also includes a rarely found .07acre lot adjacent to the home that provides privacy and is perfect for outdoor entertaining including a lovely brick garden patio, and for kids and dogs to play. 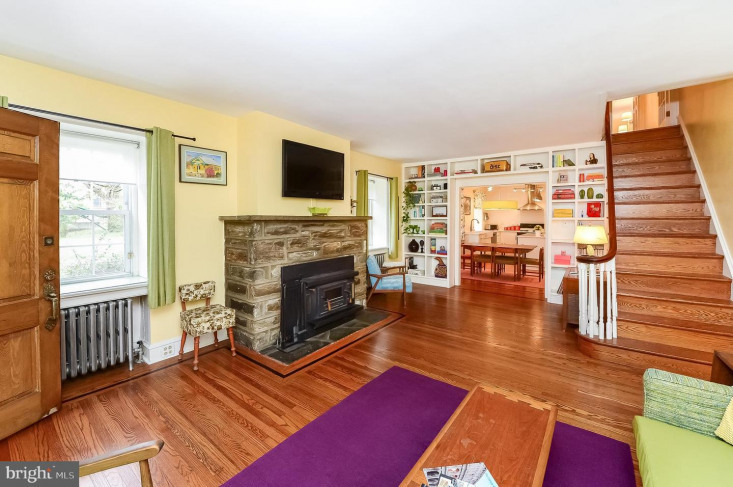 This cozy and unique home will provide you with everything on your wishlist! 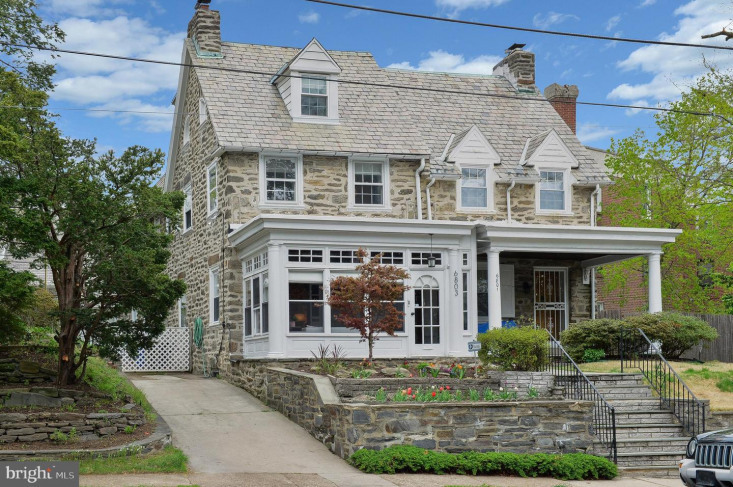 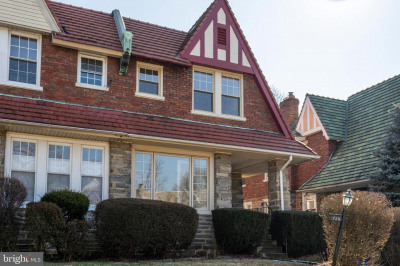 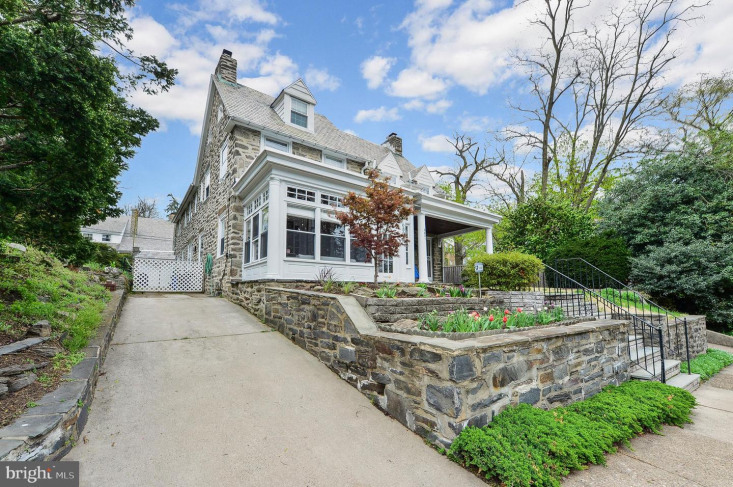 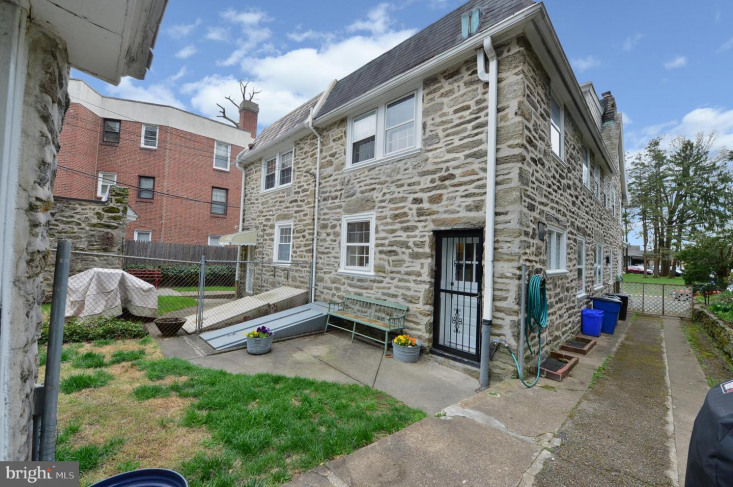 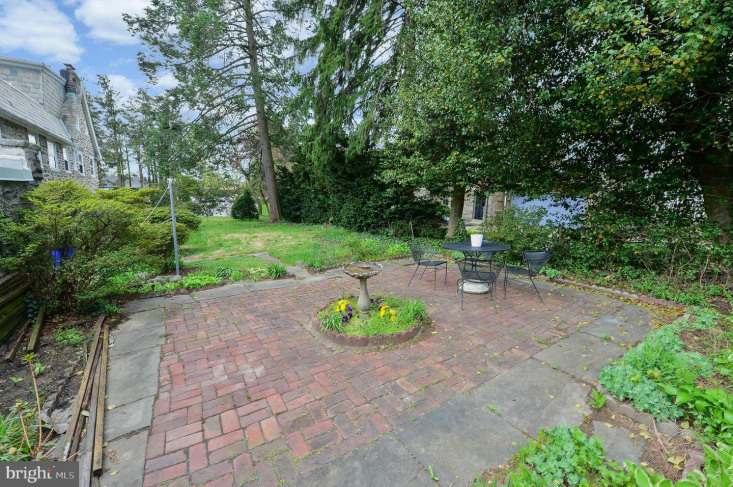 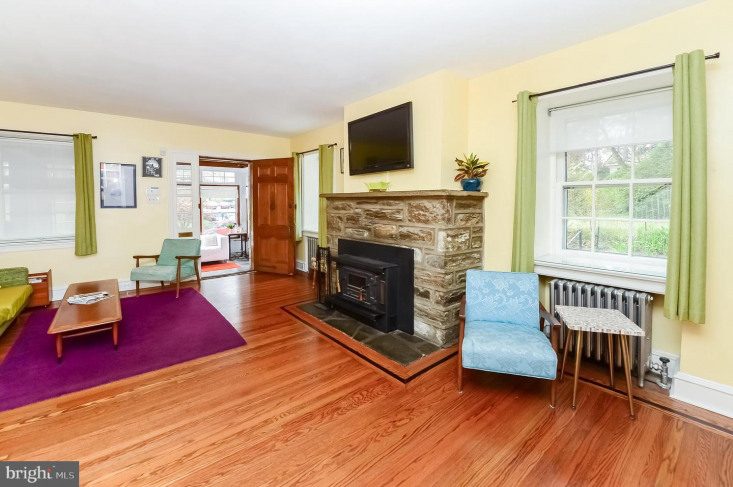 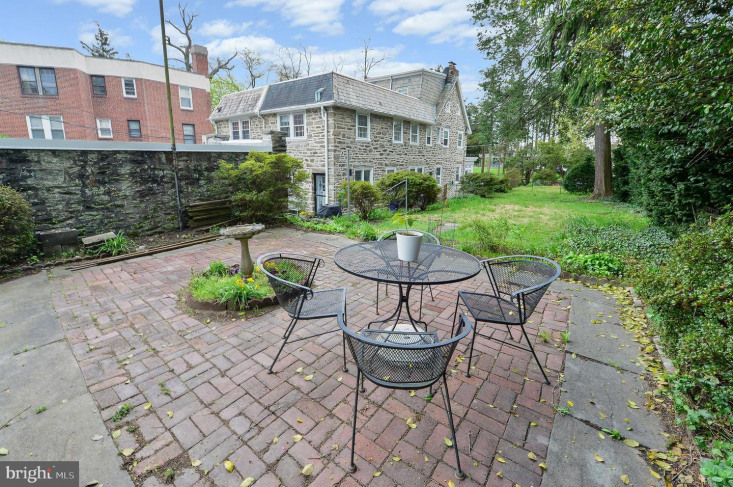 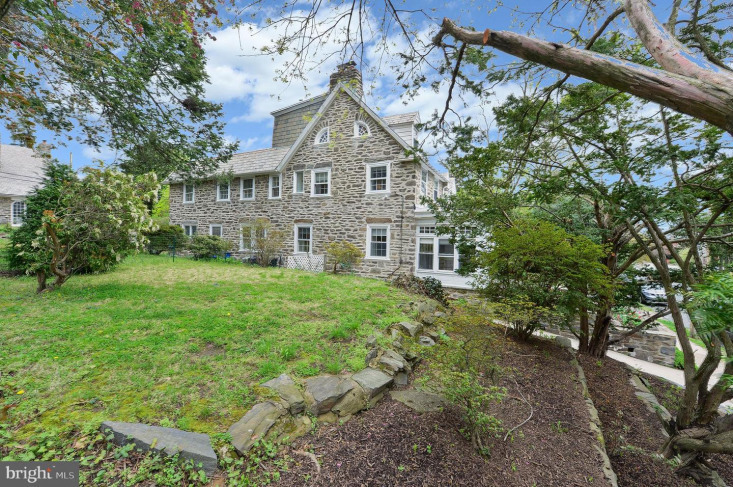 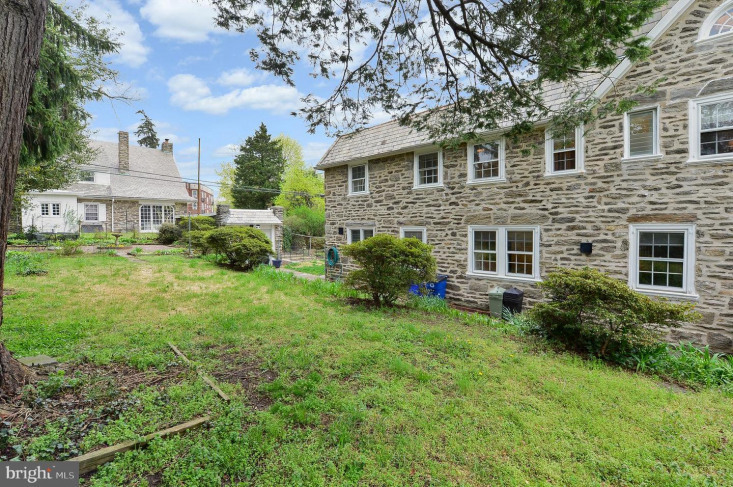 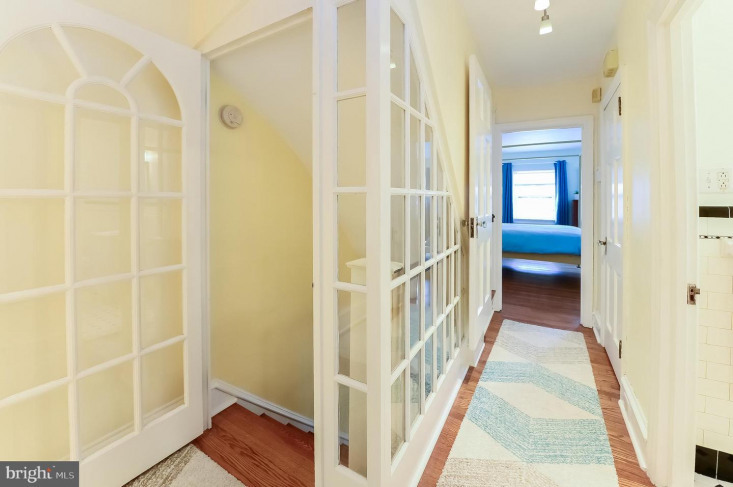 Located just steps away from the Stenton SEPTA station of the Chestnut Hill East Regional Rail and close to public schools and shopping. 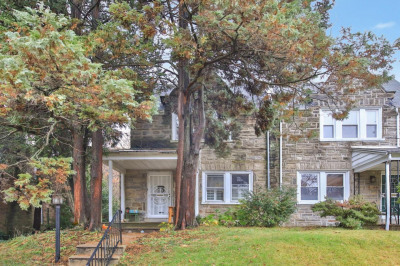 Note that sale includes tax ID#222246200 taxes $3520 house & #222246300 adjacent lot $361 for total taxes OFFERS WILL BE REVIEWED TUES NOON.